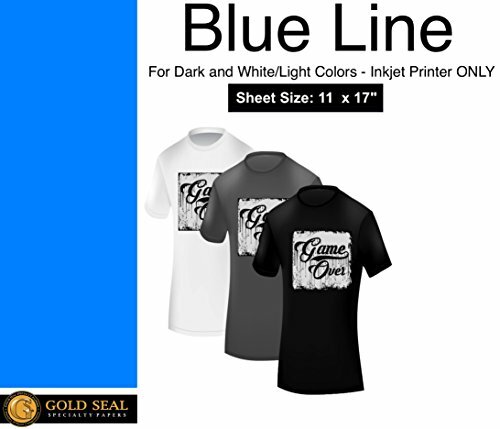 This Inkjet Heat Transfer Paper is widely known as the premier brand in quality heat transfer paper. Excellent color vibrancy, soft hand feel, durability, fade resistance, peel resistance and crack resistance sets this transfer paper apart from others available in the market. Suitable for dark colored fabrics made of cotton and cotton blend. Perfect for our entire line of heat press machines! If you have any questions about this product by Gold Seal Specialty Papers, contact us by completing and submitting the form below. If you are looking for a specif part number, please include it with your message.